AdamMaleBlog - Gay Culture, Art, Music, Humor, and more! 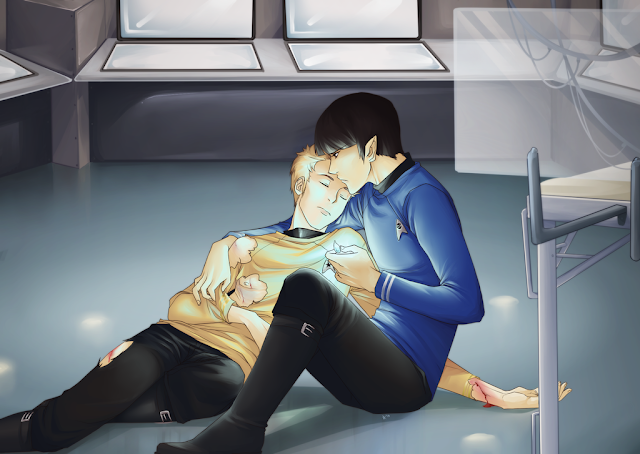 : Boldly Going There: Our Favorite Gay Star Trek Fan Art! Boldly Going There: Our Favorite Gay Star Trek Fan Art! Well, this week was kind of difficult of most of us. 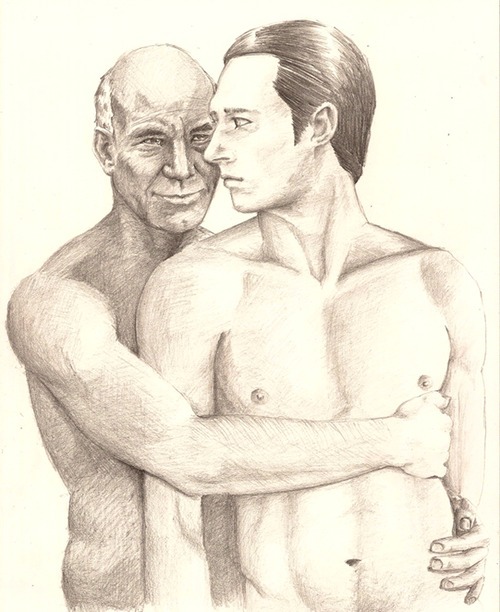 So, here are ten amazing pieces of gay Star Trek fan art to help cheer you up. We were a little shocked how much Kirk/Spock stuff there is! What's wrong with Paris/Kim or Bashir/O'Brien?! We couldn't find the original artists for most of these as they have been Tumblr'ed so much, tracing them back to their roots was virtually impossible. Oh...and for the record...we think Karl Urban, who plays the new Dr. McCoy in the movies, is just about the hottest guy around.